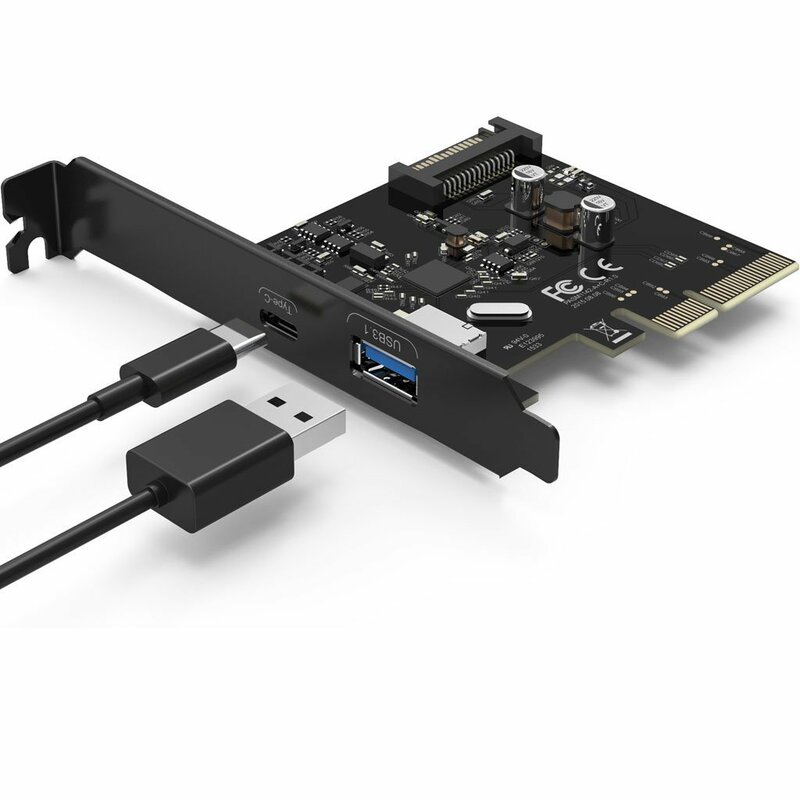 Computers & Accessories >> FireWire Port Cards Providing both SuperSpeed+ USB 3.1 Type-C and Type-A ports, this QICENT USB 3.1 2-Port PCIe Express Card is a simple and economical solution for adding the latest high speed 10 Gbps USB 3.1 ports to any desktop computers or servers. 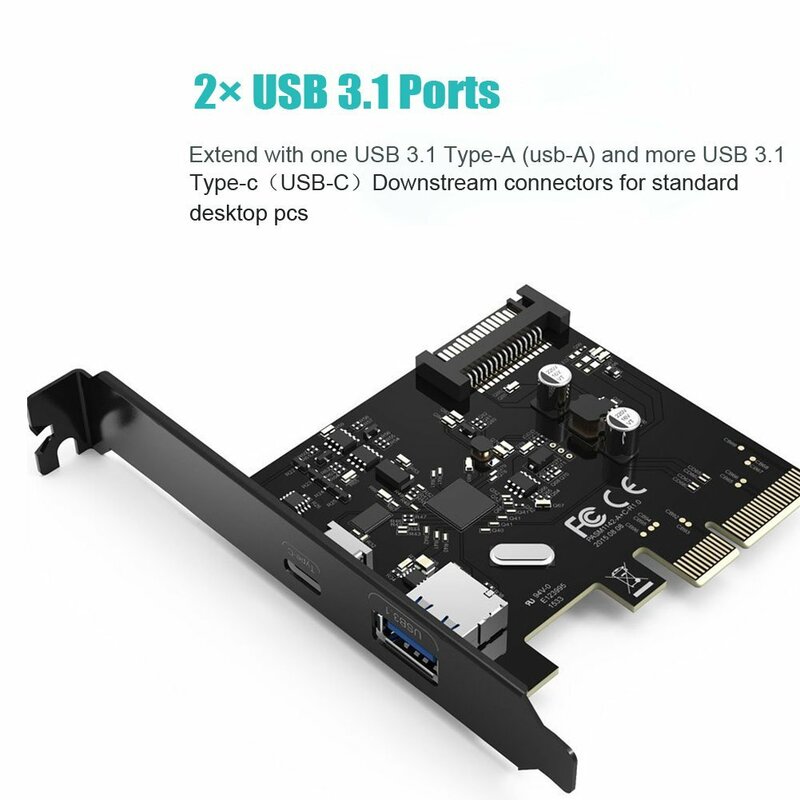 USB 3.1 enables you to transfer videos, music, photos, data files between USB devices and the computer at enhanced transfer speeds of up to 10 Gbps. 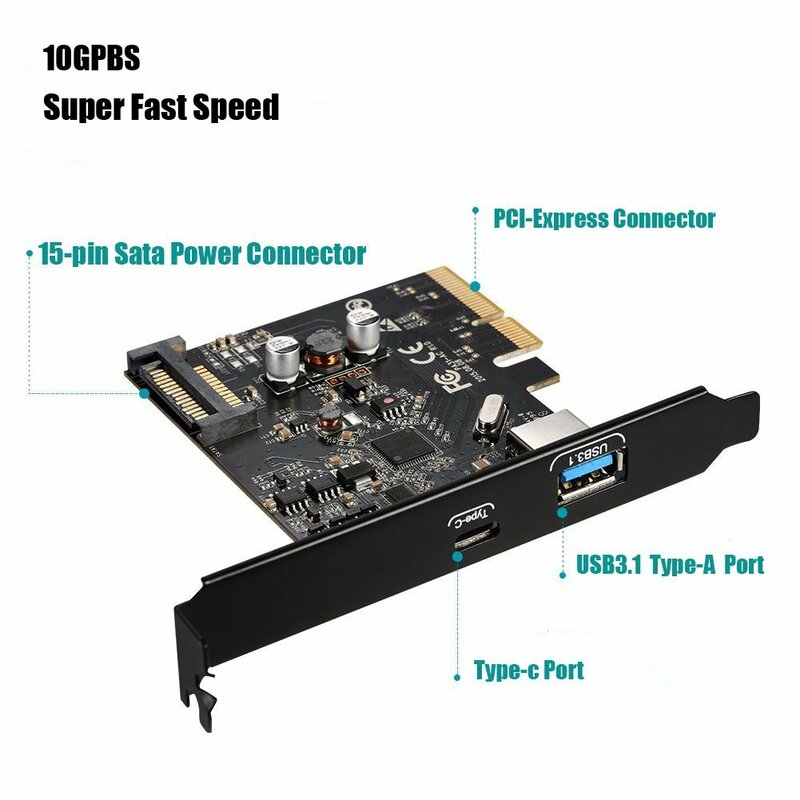 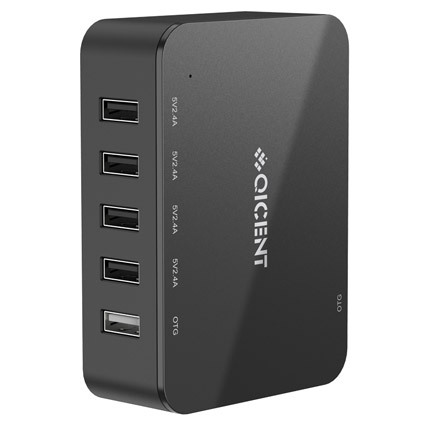 Crafted with ASM1142 chipset, durable multilayer PCB board and galvanized sheet steel, this QICENT USB 3.1 2-Port PCI-E Express Card offers an excellent solution to use USB 3.1 devices on your standard desktop PC. 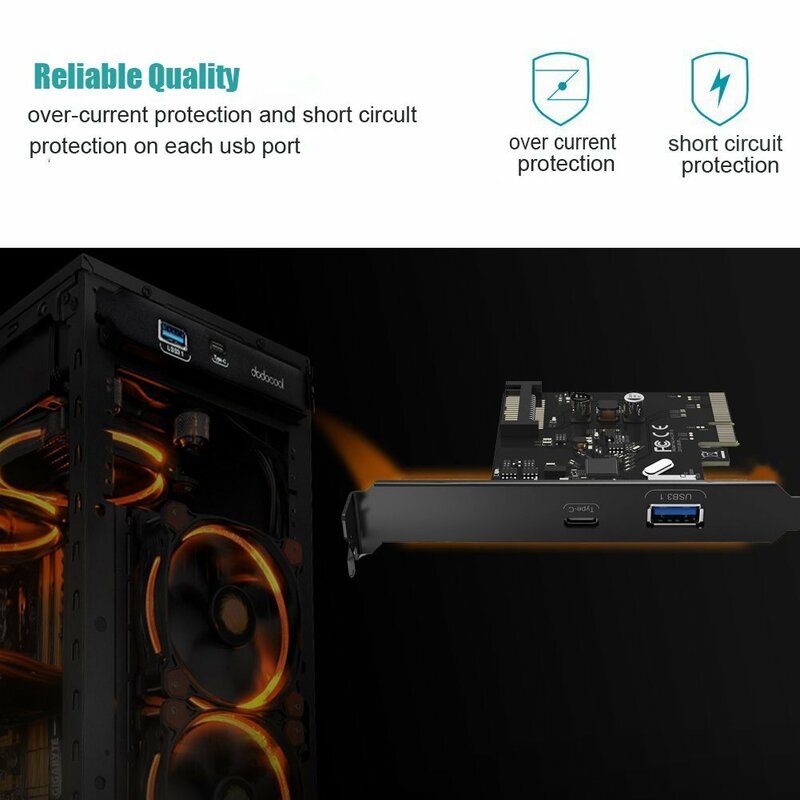 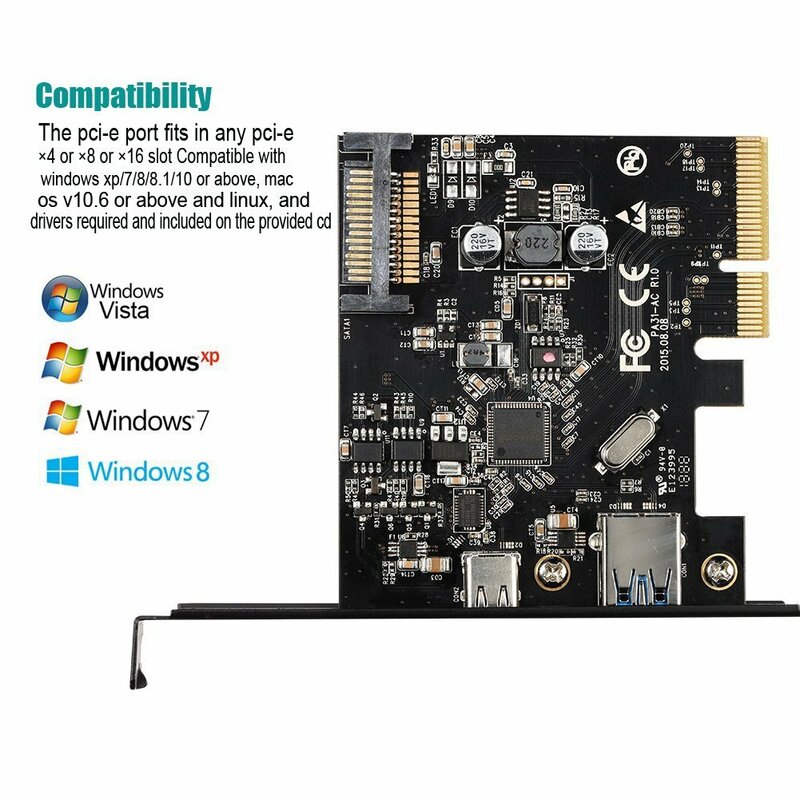 Supply power directly from PCIe bus or from 15-pin SATA power connector. 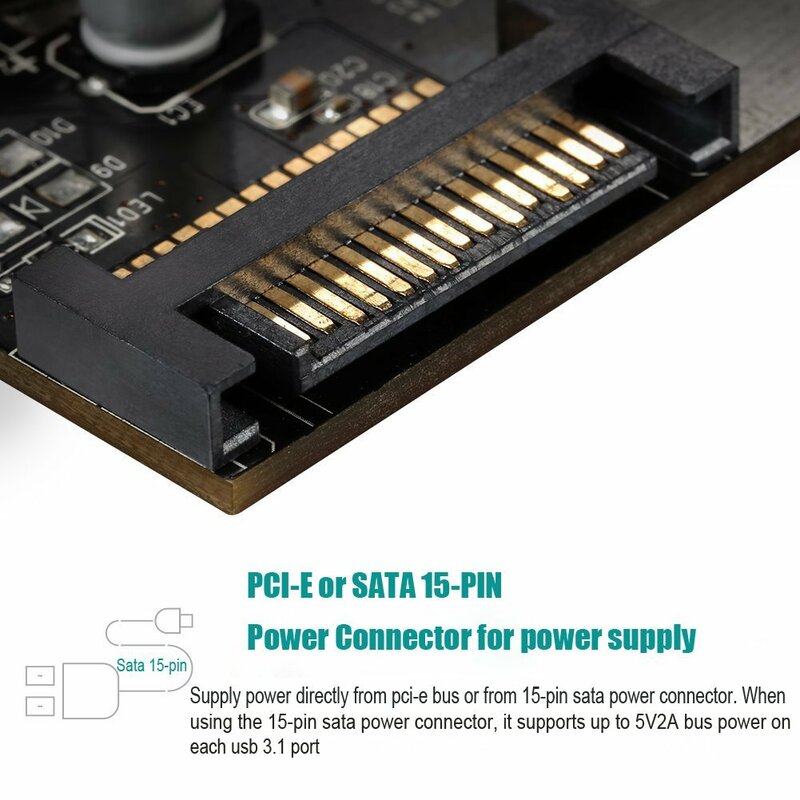 When using the 15-pin SATA power connector, it supports up to 5V 2A bus power on each USB 3.1 port.